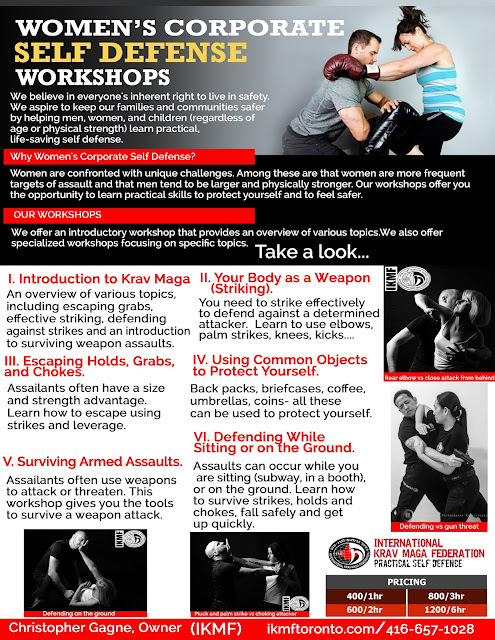 I organized two Krav Maga sessions at the workplace as a Wellness initiative in which Chris led. The sessions were practical, useful, and thoroughly enjoyable! Chris was a friendly and knowledgeable instructor who is an absolute pleasure to work with. Employees were extremely satisfied with what they had learned in the brief 1-hour Corporate class and look forward to bringing back the program in the near future. I recommend IKMF without reservation.